Maine art and artists have a long history in the York area. Of course, not all Maine art is painting. 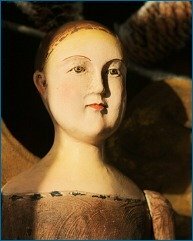 Potters, sculptors and photographers have all made their way here for decades, finding a peaceful place for creativity in our small towns by the sea. This page is for all you vacationing Maine art lovers – find the galleries, the museums, and the places you wouldn't necessarily think of for art! Please contact each individual gallery for hours, particularly in the off season (October through May). 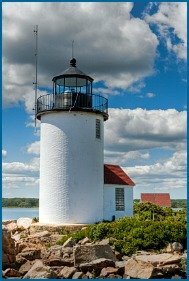 June 5-9, Kennebunkport, ME -- Kennebunkport Festival. A variety of Maine art shows, gallery openings and more. 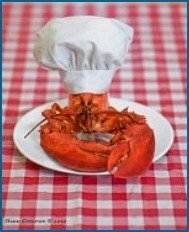 FMI: http://www.kennebunkportfestival.com/events/. August 23, Ogunquit, ME -- 39th Annual Sidewalk Art Show and Sale. 9:30-5:00, 36 Main Street, Ogunquit. Haley Art Gallery, Kittery, ME, offers original artworks by artists in the seacoast and beyond (Armenia, Prague, Poland, Iraq, Canada), Fair Trade art and artful crafts, as well as handmade, unique pottery, jewelry and functional art pieces by local and national artists and artisans. The Gallery is also available for rentals — for off-site meetings, gatherings, events and more. 178 Haley Road, Kittery, ME 03904. Phone: 1-207-439-7612. The Red Door Pottery Studio, Kittery, ME - The Red Door Pottery Studio in the historic Foreside District of Kittery, Maine complements the already existing neighborhood of Maine art and artists, blending a pottery workshop, gallery space and curiosity shop. In addition to the pottery and art collection, the gallery shop at The Red Door Pottery Studio is host to an eclectic collection of antiques, books, prints, cards, musical products, sports memorabilia and gifts. 44 Government Street, Kittery, ME 03904. Phone: 1-207-439-5671, Email: exfpottery@yahoo.com. Kittery Art Association Gallery, Kittery, ME - Work includes photography, painting, pen and ink, mixed media, sculpture, weaving, handicrafts, writing, print making and vocal and instrumental music. 8 Coleman Avenue, Kittery Point, ME 03905. Phone: 1-207-451-9384. Just Us Chickens - Wide variety of artists and media. Work includes metalsmiths, painting, jewelers, weavers, more. 9 Walker Street, Kittery, ME 03904. Phone: 1-207-439-4209. Village Art Gallery, York Village, ME - Owned by local Maine artist Gloria Gustafson, The Village Gallery is located in the center of York, Maine. The gallery opened in 1999 and is operated by Gloria and several other local artists to ensure that their works have exposure. Helping other artists exhibit their work in an easily accessible, public gallery is part of Gloria's community spirit. 244 York Street, York, Maine 03909. Phone: 1-207-351-3110, Email: gloria@yorkvillagegallery.com. Powder House Gallery - The historic Powder House, which stored gunpowder during the Revolutionary War, is now home to original prints and watercolors by Joanne Campbell. Joanne specializes in florals, Italian/Mediterranean scenes/doors, boats, Maine art and coastal scenes, shacks, chickens, vegetables/fruits, juveniles, and more. Many prints available in addition to original art. In addition, she offers a wide selection of gift merchandise at the gallery. 276 York Street, York, ME 03909. Phone: 1-207-351-2979. Ocean Fire Pottery - Handcrafted stoneware by Amy Clark. Ocean Fire Pottery is an artist-owned and operated studio and gallery located in charming York Village, Maine, featuring handcrafted wheelthrown stoneware. In her studio, Amy combines elements of the earth to create functional art that evokes joy every day. 23 Woodbridge Road, York, ME 03909. Phone: 1-207-361-3131. Email: amy@oceanfirepottery.com. York Art Association - Located in beautiful York Harbor, the York Art Association is located at 394 York Street, York Harbor, ME 03911. Phone: 1-207-363-4049. 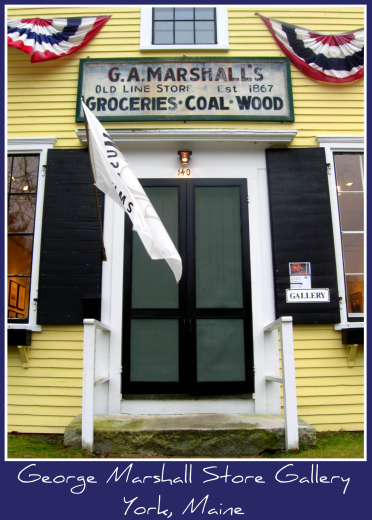 George Marshall Store Gallery - The George Marshall Store Gallery, well known for its exhibitions of contemporary art, is located in beautiful York, Maine. Beyond its idyllic setting in an historic building on the York River, the Gallery has become a destination in itself. During the past fourteen years, its high quality and compelling exhibitions have featured some of the regions finest established, as well as, rising artists. With its varied exhibition program of one-person exhibitions, group exhibitions, installations, and educational programs, the gallery appeals to a wide range of visitors who appreciate fine Maine art. 140 Lindsay Road, York, Maine 03909. Phone: 1-207-351-1083. Email: mharding@maine.rr.com. River Current Studio Art Gallery - Assemblage, collage and mixed media sculpture by Rosalind Fedeli. 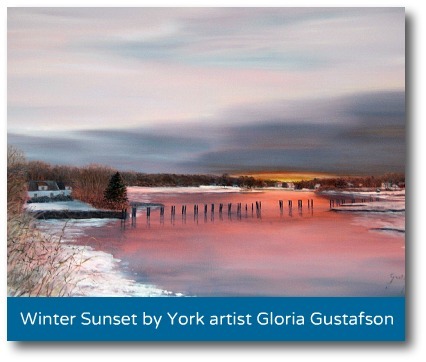 Located a stone's throw from the George Marshall Store Gallery on the York River, River Current Studio Art Gallery is located at 2 Mill Dam Road, York, ME 03909. Phone: 1-207-351-3262. Sea Rose Gallery - York's only direct oceanfront gallery, Sea Rose is the home,studio and gallery of watercolor artist Helen Rose Hennessy. Helen is known for depicting the constantly changing patterns and colors of the sky and sea as uniquely viewed from her oceanfront home. Two of her favorite watercolor subjects are Nubble View and Eastern Point. In addition to seascapes, she also specializes in landscapes, architecture and florals. 325 Long Beach Ave (1A), York, ME 03909. Phone: 1-207-363-4014. Email: HelenHennessy@Hotmail.com. Taylor'z Art Gallery - Taylor'z Gallery is a top source of Maine art dealers. 1325 U.S. Route 1. Phone: 1-207-363-0709. Stonecrop Gallery - The gallery is located on the York-Ogunquit town line, in the unique Stonecrop House at 805 Shore Road. The gallery is just outside Ogunquit's Perkins Cove and only 100 yards from the Ogunquit Museum of American Art. 805 Shore Road, Ogunquit, ME 03909. Ogunquit Museum of American Art - Called “the most beautiful little museum in the world” by a Director of the Metropolitan Museum of Art, the Ogunquit Museum of American Art engages and educates a diverse audience by collecting, exhibiting, preserving, and interpreting American art from the nineteenth century to the present. Upon entering the Museum, visitors look directly through the glass wall of its main gallery to the dramatic coast, the ocean, and the far horizon. The Museum building, grown since its founding in 1953 to approximately 7,500 square feet, is home to the Museum's 1,600-piece Permanent Collection. The Museum is open from July 1 to October 31. 543 Shore Road, Ogunquit, ME 03907. Phone: 1-207-646-4909. Email: rcrusan@ogunquitmuseum.org. The Barn Gallery - The Barn Gallery was built by the Barn Gallery Associates in co-operation with the Ogunquit Art Association in 1958 to provide an exhibition space for the artists of the OAA and a center for cultural activities. The building itself is an icon and a superb exhibition space. 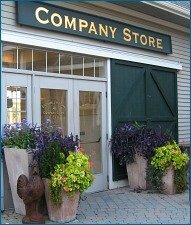 It is unique in York County and together with the Ogunquit Museum of American Art and the Ogunquit Playhouse it is a vital part of the lively cultural life of Ogunquit and the surrounding area. The efforts and support of the artists make the Barn Gallery a truly exceptional place to experience the finest of Maine art and artists. Shore Road and Bourne Lane, Ogunquit, ME 03907. Phone: 1-207-646-8400 (in season) and 1-207-363-2283 the remainder of the year. Email: info@barngallery.org. Sea Bell Gallery - Nestled in one of Ogunquit’s oldest homes, on the Shore Road in the heart of Maine’s “beautiful place by the sea”, is the Sea Bell Gallery. The Sea Bell Gallery is home to a variety of paintings, sculptures, hand-blown glass, and stained glass along with original oils and limited edition prints of many local and world-renowned artists. 53 Shore Road, Ogunquit, ME 03907. Phone: 1-207-646-5411. Van Ward Gallery - The Van Ward Gallery, specializing in paintings, has been showcasing an eclectic array of contemporary New England artists since 1993. The Van Ward Gallery also sells museum quaulity paintings and prints by collectible artists such as Charles Woodbury, Chauncey Foster Ryder, Rockwell Kent, Leonard Baskin, George Hawley Hallowell and Carl Sprinchorn. 49 Shore Road, Ogunquit, ME 03907. Phone: 1-207-646-0554. Email: vanward@comcast.net. Beth Ellis Cove Gallery - The Beth Ellis Cove Gallery features Beth’s plein air oil paintings of New England—highlighting the Ogunquit area and the inspiring scenes of coastal Maine. Along with Beth's oils, selected limited edition reproductions are available for purchase. The gallery also represents the work of four other talented artists: Melissa Meredith’s etchings, Rick Meier’s wooden bowls, Scott Tubby’s porcelain vessels, and Bill Huston’s furniture. The gallery is located in the heart of Perkins Cove, across from the drawbridge and above Dock Square Clothiers. Phone: 1-207-646-7700 (May through October). Email: belliscontact@aol.com. Scully Gallery - Fran Scully, watercolorist, has owned the Scully Gallery in Ogunquit since 1973. Fran’s paintings reveal her love of the sea and shore. She has spent her summers in Maine since 1963. Her Maine art gallery, located in Perkins Cove, is open from mid-May through mid-October. 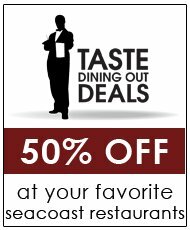 Phone: 207-646-2850 or 207-646-7489 (in season). Email: franscully@peoplepc.com. Cuckle-Button Farm Gallery - This gallery is located in the Leavitt Theatre Building, Ogunquit, Maine, the "Beautiful Place by the Sea". The gallery, home to many fine works by local artists, includes paintings, photography and sculpture. Experience the talent of local Maine artists and the beauty of Maine art. Whether shopping for artwork or just taking a leisurely drive along the coast, Cuckle-Button Farm Gallery is a great place to view wonderful works in a beautiful setting. 259 Main Street, Route 1, Ogunquit, ME 03907. Seasonal. Phone: 1-207-646-1700. Panache - The largest glass gallery on the East Coast. Other fine American-made crafts and jewelry. Open year round. 1949 U.S. Route 1, Ogunquit, ME 03907. Phone: 1-207-646-4878.